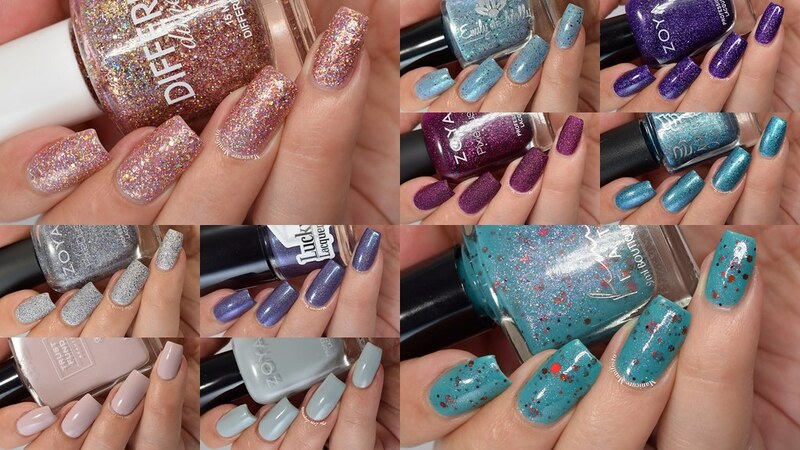 I had such a tough time narrowing down the list of all the polishes I tried this year to ten favorites. The final list is a mix of colours, finishes and brands. Let's take a look at which shades made the cut for 2016. Zoya Lake is part of the Whispers collection and is the perfect shade of pale grey blue. See the full review here. 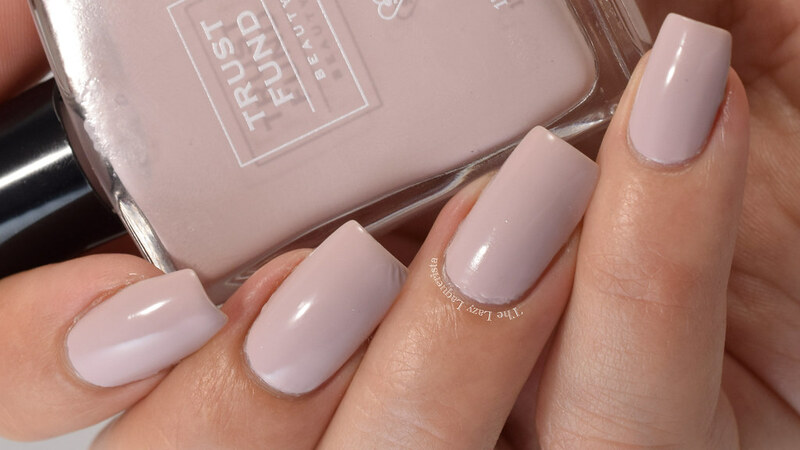 Trust Fund Beauty was a new to me brand this year and I fell in love with the shade No Filter. This lilac leaning taupe creme is a perfect neutral for my skin tone and I've worn it multiple times since initially reviewing it. See the full review here. The tiny flakes and shimmer in Only An Echo make this shade glow. The easy to work with formula made it even better. See the full review here. Zoya brought back their PixieDust formula this year and I was thrilled. Nails that look like crystals? Yes please! I really like the contrast of the grey textured base and tiny purple glitters in Tilly. See the full review here. This year I discovered the Hella Holo Customs group on facebook. Each month, a pair of indie makers creates three polishes based on member submitted inspiration pictures that are available exclusively to group members. Unicorn Lagoon was one of May's shades and was also my introduction to Grace-full Nail Polish. I love how the metallic flakes peek out from the shiny turquoise base. See the full review here. Squishy scatter holos. Yes yes yes! 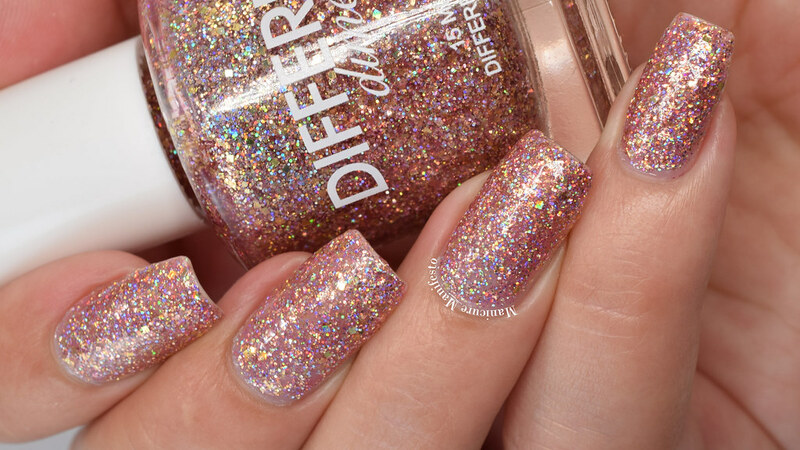 If Zoya made an entire rainbow of these I would have no complaints. Finley from the Urban Grunge Metallic Holos collection has a great formula and is the perfect grapey shade of purple. See the full review here. Glitters in sheer bases don't usually make it into my favorite shades, but Topaz 2.0 is an exception to the rule. This rose gold glitterbomb is sparkly yet neutral at the same time and was super easy to apply. See the full review here. I feel like I already own linear holos in every shade I'll ever need so a new one needs to have something special to stand out. I loved the tiny blue glitters that shine through the inky purple holo base in Midnight Maelstrom. The formula was super pigmented and so easy to work with too. See the full review here. I love PixieDusts so much that two of them made it into my top 10 this year. 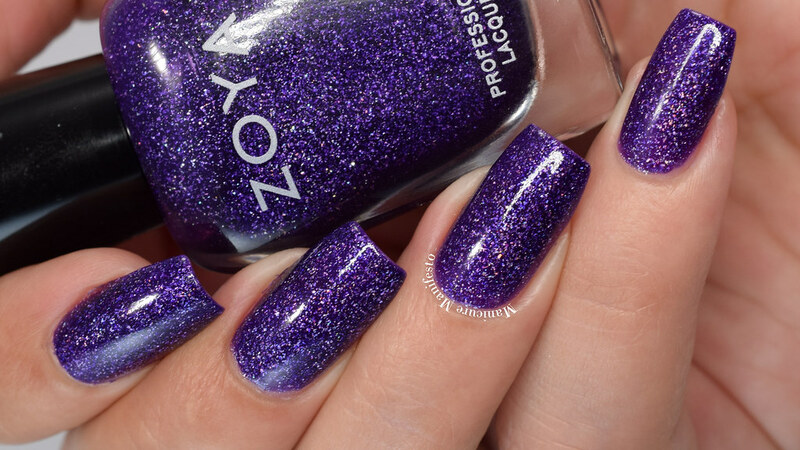 Lorna was a rich berry purple with tiny fuchsia glitters from the Enchanted collection. This shade looks like embers glowing among coals ... but purple! See the full review here. You knew there was going to be Femme Fatale shade in the mix, as this was one of my overall favorite indie brands this year. Interstellar Burst is such a unique shade with contrasting red glitters in a shimmery teal base. Gotta love a good crelly with glitter. See the full review here.